Thoriated tungsten (Thori-tung®) has outstanding electron emission, making it well suited for electrodes used in lighting. Toshiba Materials uses this material to produce electrodes for the photolithography used in semiconductor pattern molding and for xenon lamps used for purposes such as digital cinema projectors. 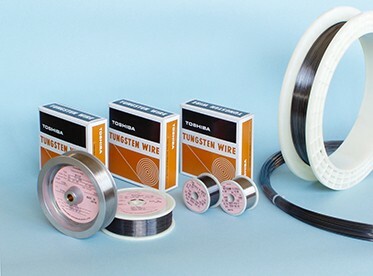 Toshiba Materials produces thoriated tungsten (Thori-tung®) wires with excellent mechanical properties under high temperatures. Thoria (ThO2) is finely distributed through tungsten, producing wires with outstanding strength and electron emission in high temperatures. A long recrystallization process is carried out using a suitable heat treatment, producing wires with outstanding strength in high temperatures. 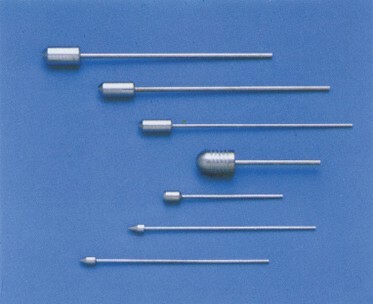 Thoriated Tungsten (Thori-tung®)'s outstanding electron emission means that when it is used as an electrode, it generates arcs easily and maintains a low electrode temperature during operation. This prevents the welding rod from melting onto the base metal, minimizing defects in welding and wear to the electrode. 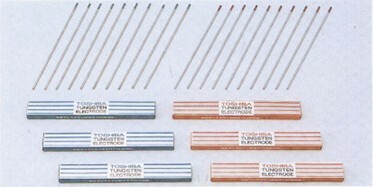 Toshiba Materials makes use of these qualities to produce TIG welding electrodes and discharge electrodes.